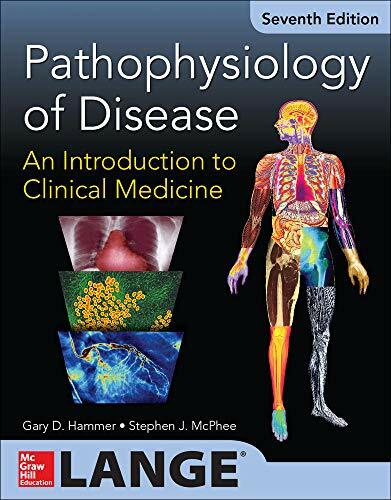 [PDF] Pathophysiology of Disease: An Introduction to Clinical Medicine (7th edition) | Free eBooks Download - EBOOKEE! Posted on 2017-10-21, by luongquocchinh. Description: A full-color, case-based review of the essentials of pathophysiology covering all major organs and systems The goal of this trusted text is to introduce you to clinical medicine by reviewing the pathophysiologic basis of 120 diseases (and associated signs and symptoms) commonly encountered in medical practice. The authors, all experts in their respective fields, have provided a concise review of relevant normal structure and function of each body system, followed by a description of the pathophysiologic mechanisms that underlie several common diseases related to that system. Each chapter of Pathophysiology of Disease concludes with a collection of case studies and questionsdesigned to test your understanding of the pathophysiology of each clinical entity discussed. These case studies allow you to apply your knowledge to specific clinical situations. Detailed answers to each case study question are provided at the end of the book. This unique interweaving of physiological and pathological concepts will put you on the path toward thinking about signs and symptoms in terms of their pathophysiologic basis, giving you an understanding of the "why" behind illness and treatment. [b]Features [/b] [list][*]120 case studies (9 new) provide an opportunity for you to test your understanding of the pathophysiology of each clinical entity discussed [*]Checkpoint questions provide review and appear in every chapter [*]Updates and revisions throughout this new edition reflect the latest research and developments [*]Numerous tables and diagrams encapsulate important information [*]Updated references for each chapter topic [/list]Pathophysiology of Disease is a true must-have resource for medical students preparing for the USMLEStep 1 exam, as well as students engaged in their clerkship studies. House officers, nurses, nursepractitioners, physiciansâ€™ assistants, and allied health practitioners will find its concise presentation and broad scope a great help in facilitating their understanding of common disease entities. No comments for "[PDF] Pathophysiology of Disease: An Introduction to Clinical Medicine (7th edition)".